The extremely stretchable TPR blend allows to easy slip on but has enough drag for tight fit and stretching your balls. 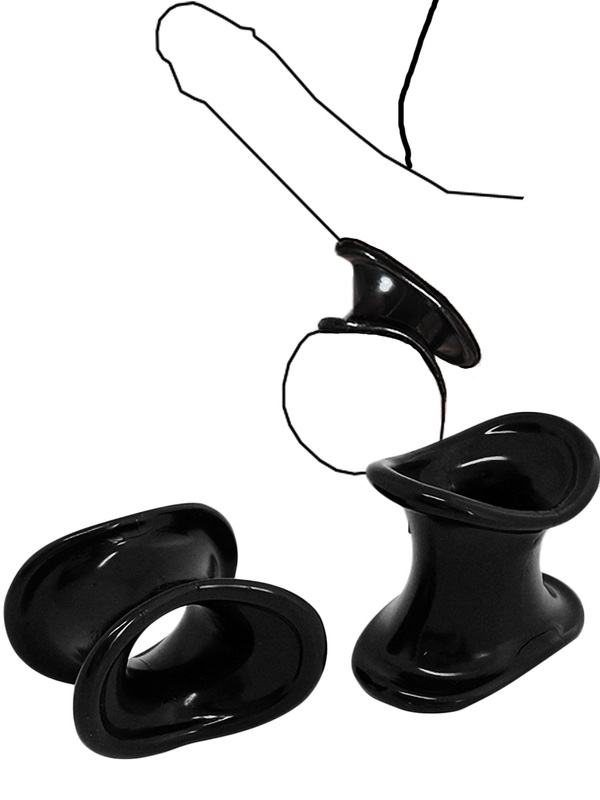 The kit includes two of these revolutionary balls stretchers with different lengths. The regular one has a stretching length of 3 cm and the large on 3.8 cm The Ergo Balls Stretchers usable with water based lubricants.